The Gujarat Government which have a very good performance in the past decade is now working to make the regional language "Gujarati" as a Compulsory Language Subject. The Chief Minister Vijay Rupani hinted this while speaking at daylong Chintan Shibir held at GandhiNagar. The Gujarati Language Subject can be made as compulsory subject for the school students upto class eight from the next academin year that is 2018-19. It will be made compulsory for the schools affiliated with different boards in the state including Central Board of Secondary Education (CBSE). Bhupendrasinh Chudasama, the state education minister had said, "Considering the CM's concerns about the future of the Gujarati language, we have formed an expert committee to advise the government on strengthening it. The government is considering making Gujarati a compulsory subject in all boards for all classes." 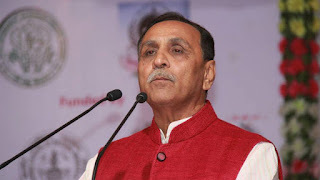 The Gujarat chief minister Vijay Rupani said "Education is the base for development. Thus, without attaining higher quality in education, development remains deficient. The state government is allocating Rs. 25,000-crore, approximately, every year for education. More than 80 lakh students from poor, deprived, downtrodden and labour class families were availing education in 34,000 government schools".